Ian, Hockey Jerk, and Zakk reunite on the second day of the 2017 NHL Entry Draft. They decide after sleeping on it how they feel about the Sharks first round pick. They break down the rest of the picks and give the Sharks a grade for their overall draft. We take a look at how the division did and call out our winners and losers all while taking a bunch of user questions. Teal Town USA, Teal Tinted Glasses, and other Teal Town USA properties are in no way affiliated with the San Jose Sharks or the National Hockey League. Teal Tinted Glasses is a podcast that covers the San Jose Sharks, San Jose Barracuda and the NHL in general from a more editorial perspective. We also do in-depth coverage of the Sharks prospect pool taking on any and all questions about a variety of topics. 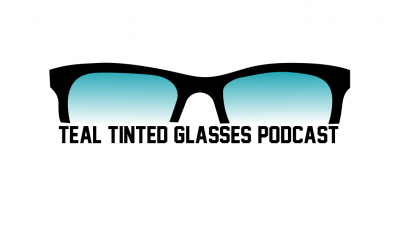 Teal Tinted Glasses is hosted by Ian Reid and has a group of regularly appearing co-hosts. We record live and answer questions in the Google chat and from Twitter. If you have a question for Teal Tinted Glasses tweet or DM one of using the hashtag #TealTownUSA. Please be sure to subscribe to our YouTube Channel you can also find downloadable audio from the show on the Teal Town USA SoundCloud as well as Google Play, Stitcher, BlueBrry, TuneIn, and iTunes. Have you seen how big and young some of these teams are, and how long there reach are ? College is where your skills are develop to the soundness to face the NHL demands.